Recently we saw the most viral name all over on social media that was of Canadian Prime Minister Justin Trudeau, who not only gained attention because of his young age and success along looks, he also won high marks for appointing a federal cabinet that includes Canadians from many walks of life. Such a balanced and women empowering cabinet have never been seen before and all the developing countries must learn this tactic from him. A viral Facebook post does a great job of summarizing what people are so happy about and Trudeau’s cabinet consist of whom? Alana Phillips, a science writer and editor in Victoria, B.C., posted the following list to the social network site on Wednesday. It had been shared nearly 30,000 times as of Friday afternoon. 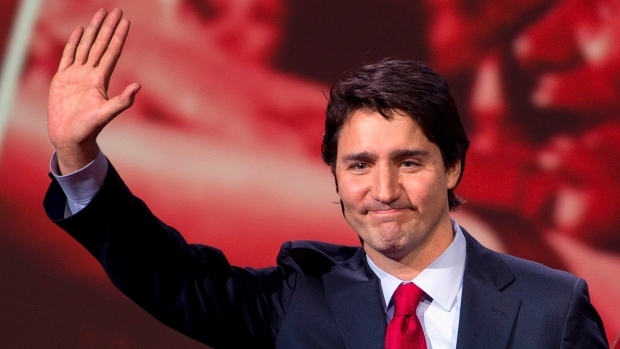 It lays out various reasons why Canadians can be proud about the federal cabinet. Like the fact, the health minister is a doctor. And our minister of defense is a war hero. Beyond that, the 30-member cabinet (excluding the prime minister) achieves gender balance and includes four Sikh and two aboriginal ministers. The ministers belonging to their ministry are working professionals and even a Nobel Prize winner is Minister of Science, and she is a woman. We hail and praise this man’s effort to turn the heads and doing great for his country. In Pakistan, which is facing so many problems except political ones, Trudeau set an example, that the relevant and appropriate person for running a department is the best choice rather than appointing people on the basis of interest and nepotism.